Clockworks is in the back woods of New England, we are a ethical group of clock enthusiasts that live and breath clocks every day of the week. All our business with clock parts is conducted through shipping products and repairs rather than running a "walk in" retail establishment. 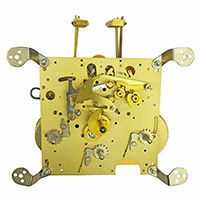 We offer a variety of clock parts, movements, clock hands, clock tools and anything else you can think of clocks. We are located in Huntington, MA USA, this is old clock country here as Huntington is not far from the retired factories of Seth Thomas, New Haven, Waterbury, Ansonia, Westfield Watch, Chelsea Clock Co, and more. This region is where the great clock manufacturers produced countless quality clocks that are sought after even a century later. 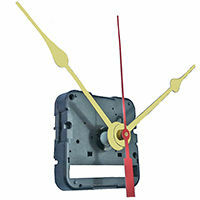 For orders over 20.00 that need to be returned or exchanged for new clock parts please make sure you send it with a note. Sometimes we get things back with no note, and we do not know what to do with it, so please be sure to include a note with your contact information, invoice number and what products you would like for an exchange or if you want a refund. You do not need an RMA number. 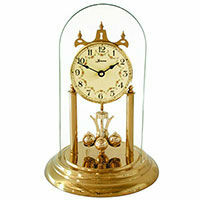 Any clock parts that are returned for credit valued over $20 will incur a 15% restocking fee. Exchanges will incur a reshipping charge. This will be submitted to the same form of payment. No merchandise may be returned for credit or exchanged after 30 days. 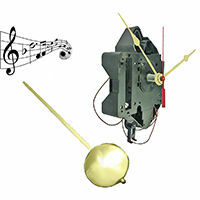 There are no refunds on regeared mechanical clock movements, these custom jobs are for one customer and cant be resold. There are no refund on shipping charges. There are no returns or exchanges for orders with product value under $20. Reason = Other retailers usually charge a small item fee of about 5.00 to 10.00, we do not do this. Instead we do not offer refunds or exchanges on orders valued 20.00 or less. We explain everything in detail within the product pages. The explicit instructions are there so that you can order the correct item. It is time consuming and very expensive to keep reshipping and swapping mini movements, keys, etc. Please be sure to read the instructions thoroughly before making any decisions on what to purchase. If you have any questions or concerns after reading the instructions thoroughly, please send an email to [email protected] and we will be more than happy to help you. 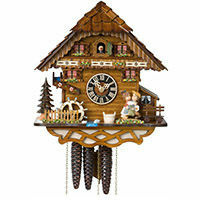 We want you to order the correct thing the first time around and get your clock up and running! Mechanical movements have a 2 year warranty against factory defects. Please be aware that any movements that have been regeared cannot be returned so they are excluded from the normal warranty. 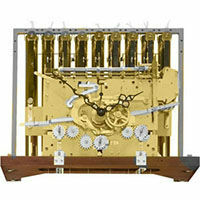 If there is an issue with a regeared movement, a repair of the movement is your only option. We do test the units before shipping when a gear change has been done but if there are any warranty issues you will have to send the movement in for repair. When sending back a mechanical movement for an exchange or refund (not any regeared movements), or a repair, etc. it is the customer’s responsibility to pack it exactly like it was when it was received. This includes double boxing the movement with the hand shaft facing up and making sure the movement cannot move around freely. If we receive a movement back that is damaged due to improper packing, the customer will be charged for the movement. Clockworks.com is in the USA. We do offer worldwide shipping and most of our international orders ship for a flat rate. Upon checkout, select USPS for small international packages (12.00). If you want your package expedited (priority mail is 6-10 business days) then select that option upon checkout. This is usually much more expensive, but it is available. If you are ordering a large amount of items, or items that are heavy (such as clock weights) the shopping cart does not always calculate the correct amount for shipping. We will contact you in the event that this occurs. Also, first class international mail can take at least 30 business days to deliver. We have no control over this and the US Postal Service will not even attempt to do a trace on it until 30 business days have passed. Please do not contact us asking where your package is unless it has been at least 30 business days. We are not responsible for any customs charges, taxes, duties, etc. for you to pick up your clock parts. All international packages get sent out as merchandise and with a value of the contents. What each country does with that information is not known to us so it is the customer’s responsibility to pay any fees associated with an international purchase. The customer is also responsible for all shipping charges. This includes any errors that may occur. If a product is coming or going to you, the customer, is responsible to pay it. Due to the constantly changing inventory and price fluctuations in this industry, we do not print a physical catalog. Instead, we try to keep the website up to date as much as possible with the current stock and pricing. We do, sometimes, still end up with some items on back order. If you are in a rush for a certain product, it is best to contact us to make sure that it is in stock before you order next day air or a similar shipping speed.